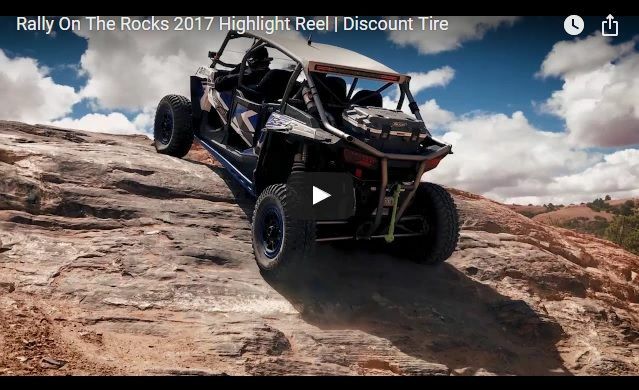 Yamaha Rhino Forum - Rhino Forums.net > RhinoForums.net Sponsored Events > Rally on the Rocks > Discount Tire Rally on the Rocks | 2017 Highlights! The 7th annual Discount Tire Rally on the Rocks in gorgeous Moab, Utah is officially in the books! Along with some amazing wheeling, we made awesome new friends, participated in another Trail Restoration Project with TreadLightly! and gave away fantastic products from Rage Tires and Wheels, Rugged Radios, and Camp Chef! There were over 1,400 participants that made it to the event and needless to say, we're already counting down the time until next year's Rally!!! See the coverage thread linked below for daily recaps and for additional photos from the event, check out the slide show linked HERE. Don't forget to check out our day with TreadLightly on Kane Creek as well! We'll see you on the trail! 2017 Discount Tire Rally on the Rocks | COVERAGE THREAD!